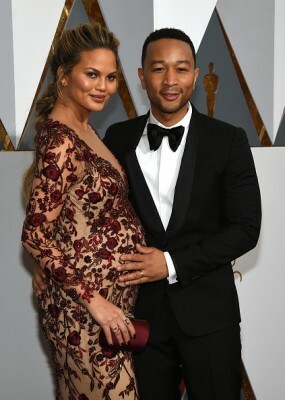 Chrissy Teigen and John Legend are parents! The model and singer welcomed a baby girl named Luna Simone Stephens, they announced on Sunday. The baby, who was born on Thursday, is couple’s first child. The couple announced they were expecting in October on Instagram. “John and I are so happy to announce that we are pregnant :) As many of you know, we’ve been trying to have a baby for a while now. It hasn’t been easy, but we kept trying because we can’t wait to bring our first child into the world and grow our family,” the model wrote at the time. Teigen and Legend became engaged in 2011 after four years together. They married in 2013.